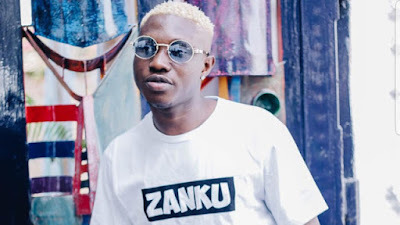 Fast rising afro-beat singer; Mayowa Bae has accused Zlatan Ibile of defrauding him. According to Mayowa Bae, he said he paid N200,000 to Zlatan for a music collaboration since November 2018 but the rapper has since refused to fulfill his end of the bargain as they both agreed. He said "In November 2018, I listened to a beat my producer made in the studio and I started vibing to it; before we knew it, I recorded the chorus and made the first verse. But while I was about recording the second verse, my producer suggested that I collaborate with Zlatan on the song. I asked who Zlatan was and my producer said he took the last verse in Chinko Ekun's 'Able God'. I contacted a friend who knows him and he gave me his contact. I contacted him and sent him the song, he listened and we agreed on recording the song together. He asked for some amount which I paid to him within two days. He confirmed he got the money and ever since then he started feigning busy; his number too was always busy. I called some of his close friends like DJ 4Kerty, Drumphase, Billy Q and other guys to talk to him; he told them he will do it that I should give him time. Since November 2018 till now I haven't gotten the song; now I'm asking for a refund because I'm over the recording already, as I'm working on better projects already."